Do you know any writer, dramatist, poet, spoken word artist, comedian, goist, jeli? Please, read and share the information below with them. IfooAfrica is a brand new audio based online platform bringing back the African art form of storytelling. It allows users registered on the site to share their originally created audio story with the IfooAfrica community. IfooAfrica aims to create an online community of African storytellers told in their own individual and unique voices. We believe that even though our histories and journeys might be different, our stories are very similar. 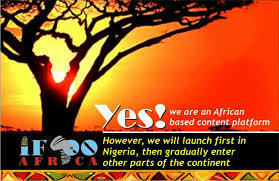 The platform intends to be both educative and entertaining while fostering stronger African unity via voice. IfooAfrica will launch first in Nigeria on October 1, 2014 and will gradually make inroads into other countries on the continent. As part of its launch in Nigeria, IfooAfrica will run a monthly Upload, Share and Cash Out competition that will run for 12 months. This competition allows storytellers to upload their originally created short audio story (10 minutes or less), share with the IfooAfrica community who will listen and vote. Any story that has the highest number of votes at the end of the month will be awarded N25, 000. The listeners are not left behind, as they will have an opportunity to win fabulous prizes on an adhoc basis in the Listen, Comment and Win competition. Popular celebrities, Chioma Chukwuka-Akpotha, KateHenshaw and Uti Nwachukwu have kindly loaned their voices to the first story uploaded onto the platform titled Sexual Harassment written by Joy Bewaji and produced by David Jones David. Listeners are now invited to log on to www.ifooafrica.com listen to the story, answer the question asked at the end and leave a comment. If your comment is liked as the best at the end of October, you win a brand new Swatch wristwatch. 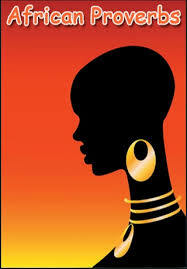 We look forward to being part of Africa’s journey one story at a time!! ← Social Media NETiquette: 21 Tips, Strategies and Rules for Interacting Online!